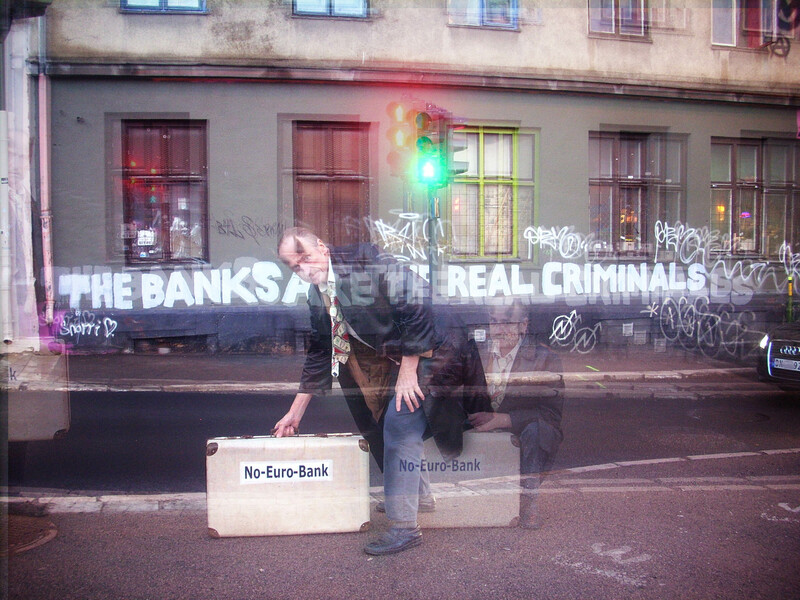 A new part of the performance series “No-Euro-Bank” and the start of a series called ” Desensitisation” is Wolfsmoon`s contribution to the “DocumentA” project. 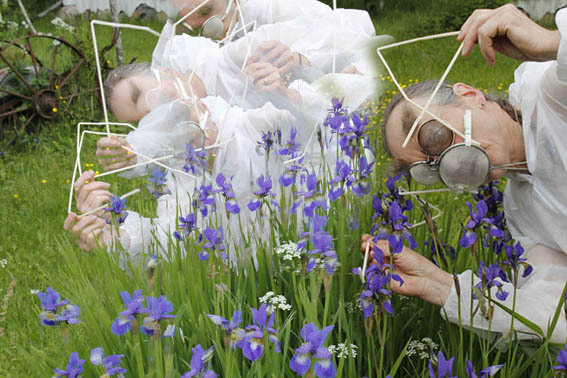 The continuing of the “No-Euro-Bank ” performance series is called “Inter”, an interview/performance, performed in Norway, Germany and in Portugal, were Wolfsmoon, in the role as “Bank director” Wolf-ram, is interviewing people about their concern for the economical future. 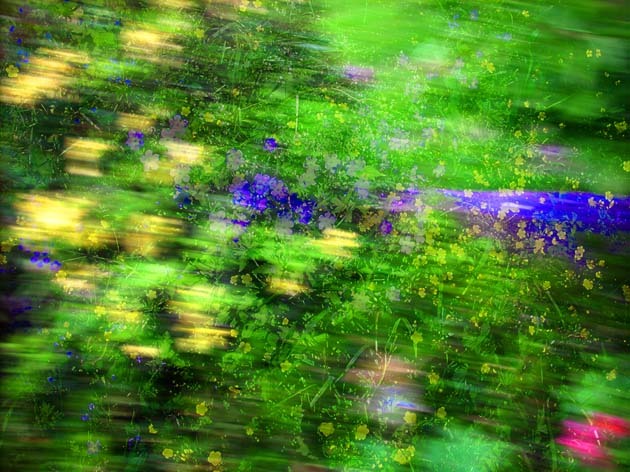 Allergen immunotherapy (also termed hyposensitization therapy, immunologic desensitisation, hyposensibiliation, or allergen-specific immunotherapy) is a form of immunotherapy for allergic disorders in which the patient is vaccinated with increasingly larger doses of an allergen (substances to which they are allergic) with the aim of inducing immunologic tolerance. Systematic desensitization is a type of behavioral therapy used in the field of psychology to help effectively overcome phobias and other anxiety disorders. For slideshow click the picture. 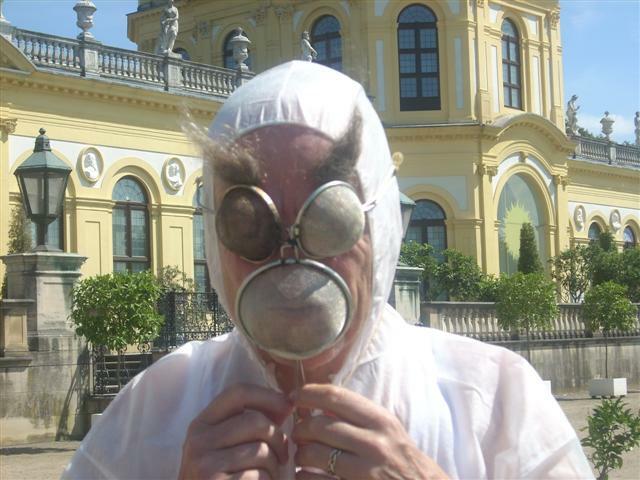 As Wolf Ram, bank director of the No-Euro-Bank, Wolf Wolfsmoon was supporting the troubled currency Euro by making a performance called “North_NO_South”. Time : 3 pm. 28.th of May 2011. In front of the Euro sign at the European Central Bank in Frankfurt/Main, Germany. 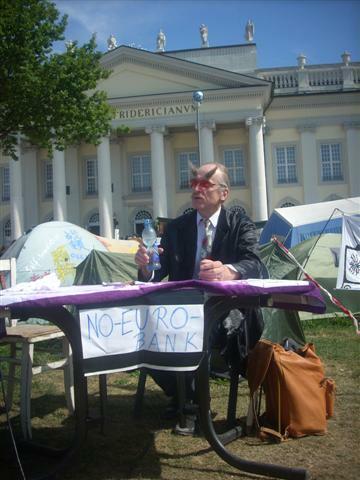 Wolfsmoon was signing Euro bills over with the NO-EURO-BANK logo and with the director name Wolf Ram. in front of Portikus at the entrance to the Time/Bank show. The 3 pillows “North” “No” and “South”, used in the first performance ,were given in the custody of the Time/bank staff to put them into the Time/bank sales collection later on, if they would be approved by Amerika. A cross-over performance project . Psychologist Margarida Schaefer interviews Klaus Ruppenthal. Insider looking out from wolf wolfsmoon on Vimeo. 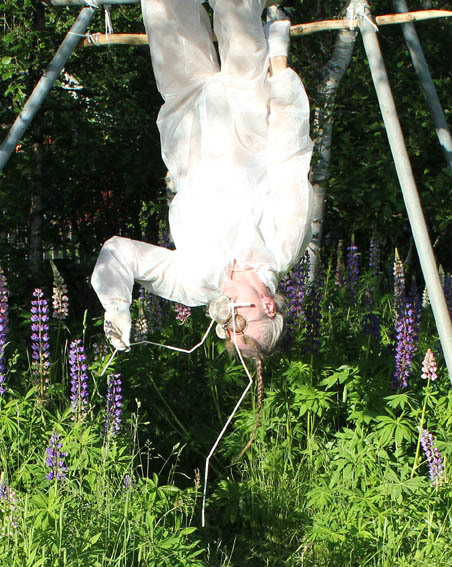 Performance and photo Wolf Wolfsmoon and Andrea Piranhas on Agnes Btffn’s performance project ÅÅÅ dive in the Universe. ÅÅÅ dive in the Universe at THE ROYAL PALACE’s PARK – R.A.P. ÅÅÅ dive in the Universe by the NATIONAL THEATER – R.A.P. 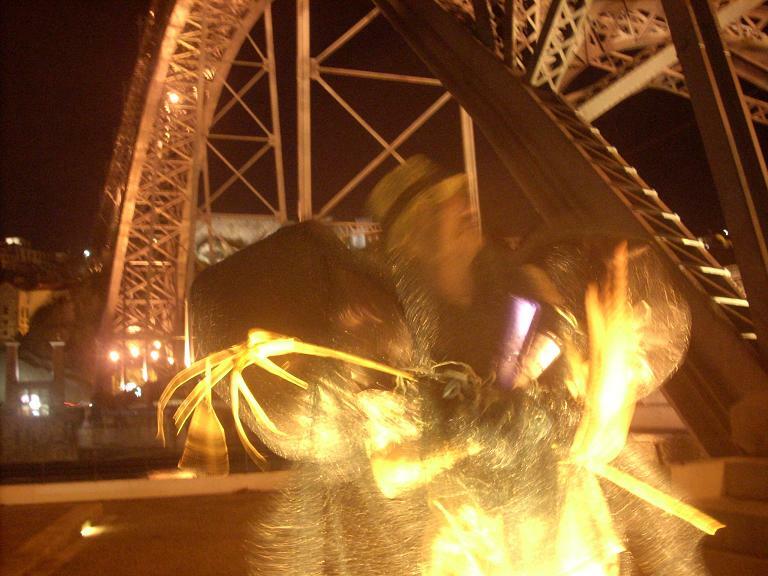 D. Luis, a bridge in Porto, where the people are throwing their ” Saudades ” in bottles into the Douro river, is one of the backgrounds for this art performance. The Bottlemailman of Porto is fishing the bottles out of the Douro, where the river stream is meeting the dancing waves of the Atlantic. At daytime, the Bottlemailman Lobo Lua is collecting the bottles with the letters to handle the mail and at nighttime, he is bringing the empty bottles back to Ponte D.Luis. Location: Ytre Enebakk towards Elvestad, Info-rest stop at Mjaervann after road sign Östfold fylke.